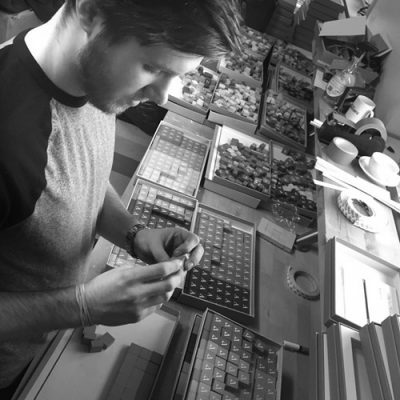 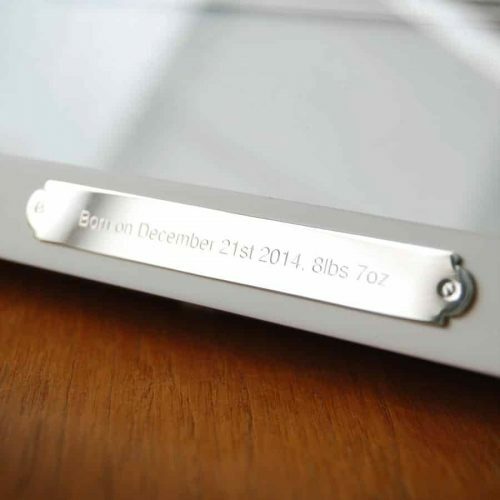 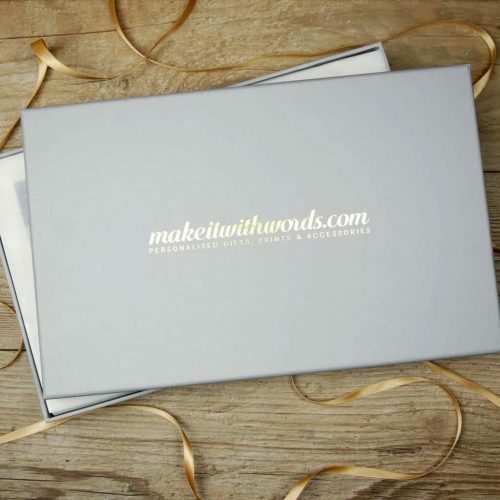 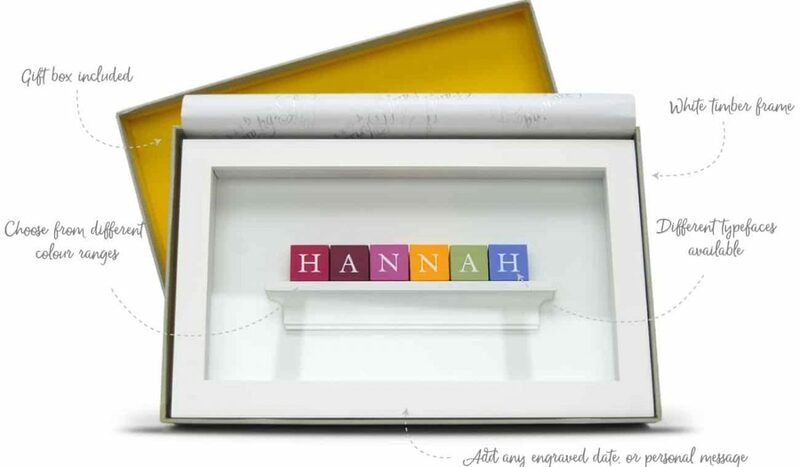 Baby Gift with the WOW factor - Designed and made in Ireland. 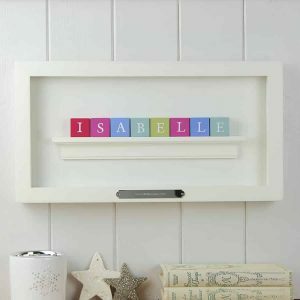 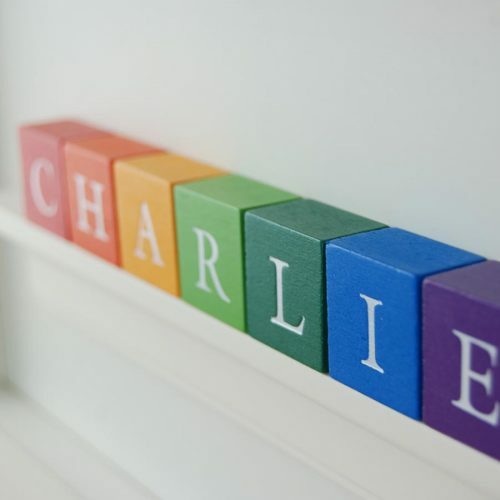 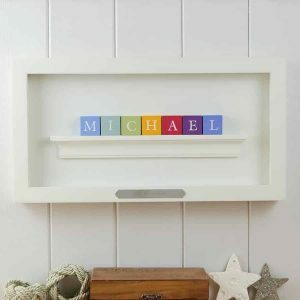 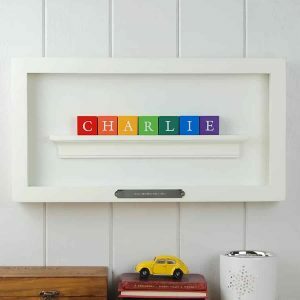 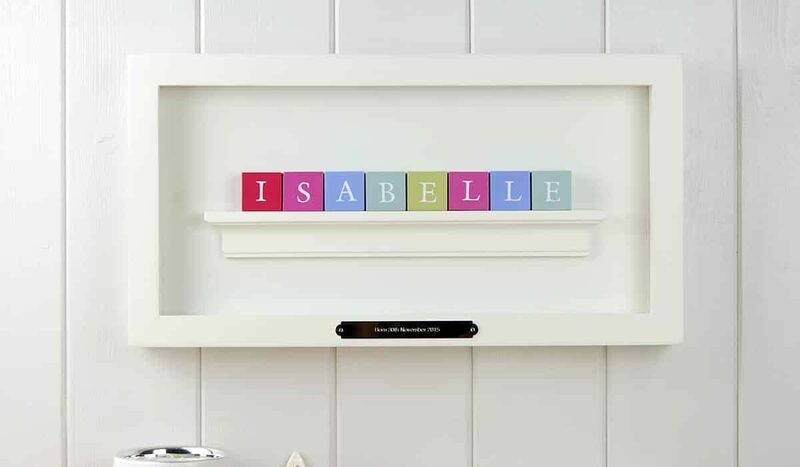 The Baby Gift with guaranteed ‘WOW’ factor: Baby’s name in hand stamped wooden ABC blocks mounted in a white timber frame. 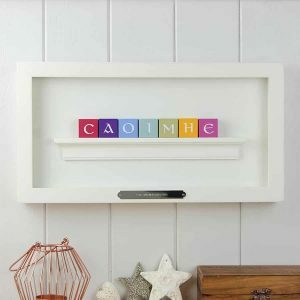 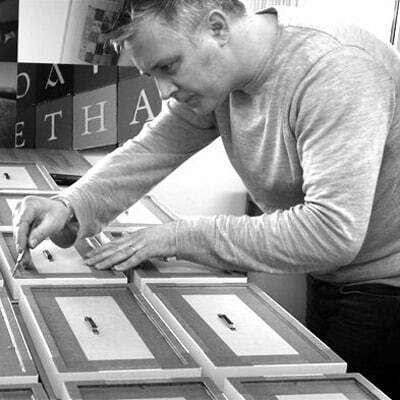 Makes a Stunning Baby gift.